Be a part of this incredible 16-day adventure aboard Ocean Diamond as it takes you to a roundtrip voyage from Ushuaia. At sea, photograph massive albatross and pintado petrel as they swoop and soar around the ship, guiding you toward South Georgia. 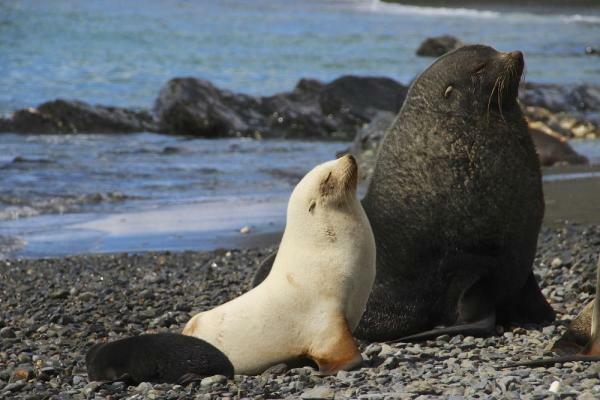 Beaches teeming with king penguins and elephant seals greet you on this fabled island, where you can pay your respects to famed explorer Sir Ernest Shackleton. Antarctica awaits, with its geographic contradictions and overwhelming enormity. Relax on a Zodiac ride, hike glistening glaciers, share comical moments with inquisitive penguins, or witness the rugged peninsula from a sea kayak. Antarctica surprises and delights, and never disappoints. 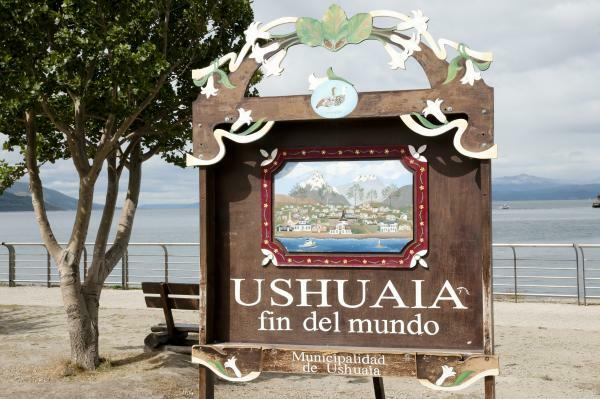 Begin your journey in Ushuaia, a small but bustling port at the tip of South America. It’s the ideal gateway for you to explore the southern extent of Patagonia while preparing for your adventure ahead. Get active in the mountains or enjoy handcrafted chocolate at a café in town. Embarkation will occur in the late afternoon, after which your vessel will sail down the historic Beagle Channel, which transects the Tierra del Fuego archipelago in the extreme south of South America. Expect an air of anticipation as you depart! There are many activities to keep you engaged while you are at sea. Learn to identify seabirds that glide alongside the ship, or attend dynamic presentations by your Expedition Team. 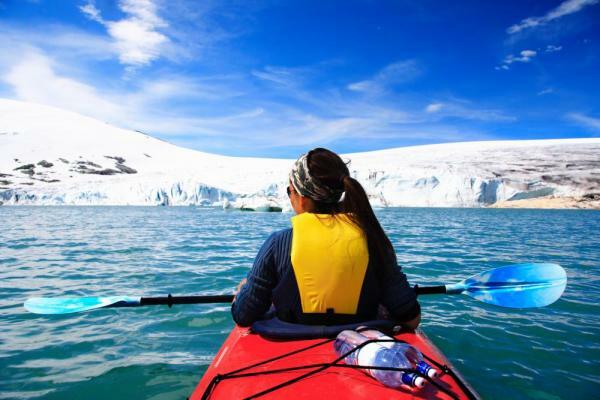 You will be prepped on safety procedures for Zodiac cruises and shore landings, and also be given instructions for getting the most out of your optional kayaking adventures (extra cost), a truly intimate way to experience Antarctica. The first indication that you are approaching South Georgia is the sighting of birds around a group of rocky spires called Shag Rocks. Rising out of the icy ocean waters, have your binoculars and cameras ready to photograph these rocks. Shags, prions, and wandering albatross often rest here. After enjoying South Georgia from a distance, head towards its dark sandy beaches to find a protected bay for your first land excursion. Landing sites on South Georgia are varied and are largely determined by the weather conditions of your voyage. Whichever landing sites you visit, they provide you with wildlife encounters that cannot be enjoyed anywhere else on earth. This is one of the most fertile breeding grounds in the world for sub-Antarctic wildlife, with beaches littered with penguins - in particular king and macaroni penguins. Many rookeries number into the 100s of thousands! It won’t take you long to realize that South Georgia is a paradise for bird lovers as burrowing seabirds, albatross, and petrels can be seen in abundance. One of the most significant sites you visit on the island is located on Grytviken. This is one of the first whaling stations established in sub-Antarctic waters. 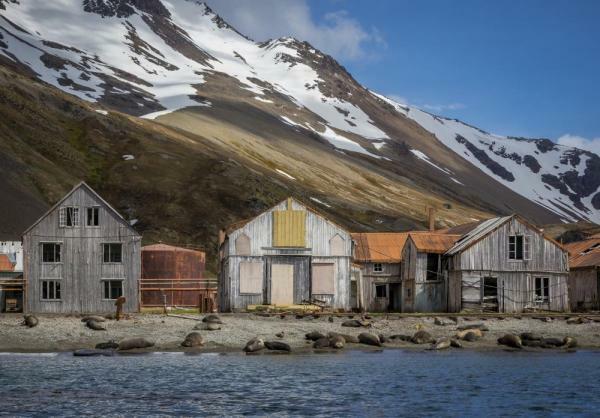 Many travelers find this place of special appeal as it is home to the remains of one of the best known Antarctic explorers, Sir Ernest Shackleton. Say goodbye to the king penguins, as your next destination is Antarctica! Your days at sea are filled with presentations and lectures led by your Expedition Team, who will prepare you for the wildlife that will greet you upon your arrival. In between activities, spend time chatting with your shipmates over a drink at the bar. If conditions allow, we may attempt landfall on the South Orkney Islands, our first official stop in Antarctica. The most common reaction to arriving at the White Continent is a sense of reverence and awe. The experience is hard to put into words. Antarctica is a land of extremes: at one moment you are overcome with a feeling of complete silence and loneliness, the next you are laughing at the comical antics of a curious penguin. Glacier hikes, visits to research bases and, of course, communing with seals and penguins are sure to keep you smiling each and every day. Perhaps catch sight of the fearless penguin-eater, the leopard seal, or come eye–to–eye with a curious minke whale while out on a Zodiac. Each day and each landing presents a new collection of creatures to entertain you and keep your camera busy. If you find yourself wanting more, then perhaps treat yourself by booking a kayaking Adventure Option (reserve in advance when booking your trip), or if you’re feeling a bit overwhelmed, a little shock therapy courtesy of a Polar Plunge might be what you need! After more than a dozen days of memorable wildlife encounters, your journey home begins. Crossing the Drake is your unofficial rite of passage, to spend time on the deck, watching for seabirds and scouting for whales, enjoy presentations by your Expedition Team, or simply relax and reminisce about your experiences. Arrive in Ushuaia in the morning, which allows for you to continue your adventure on land or catch your flights home. Carrying a capacity of 189 passengers, the Ocean Diamond is the latest in polar vessels to explore Antarctica. The Ocean Diamond is the first carbon-neutral ship in the polar adventure industry. Guests can enjoy the many indoor public spaces, spacious cabin arrangements and fine dining aboard the Ocean Diamond. The Hostería Linares, is located in downtown Ushuaia, with wonderful views of the Channel of Beagle, the Bay of Ushuaia, Navarino Island (Chile), and the Andes mountains, including the Marial glacier and is the perfect place to relax before your Antarctica cruise. In the heart of Ushuaia, Hotel De Los Andes offers all the details to make your stay comfortable. Conveniently located on San Martin Street - the commercial and tourist hub of Ushuaia, as well as only 250 meters from the commercial and tourist port, the hotel offers a central point for exploring all of the city's attractions as well as easy access to voyage embarkation. Enjoy your stay in the southernmost city during your stay at Los Naranjos hotel in Ushuaia. Enjoy impressive views from either side of the hotel - the Andean Mountains the Beagle Channel. The downtown location, quality of service, and attention to detail will make your stay at the "end of the world" an unforgettable one. 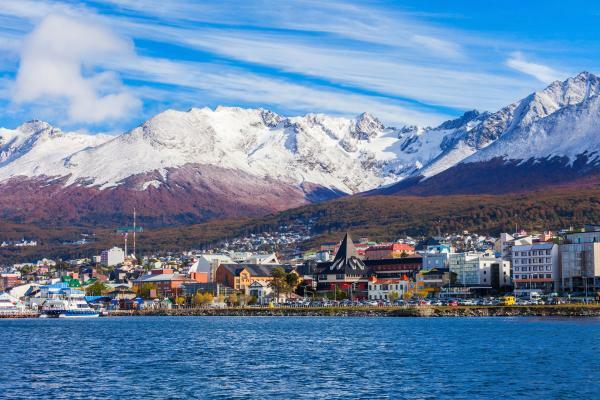 Ushuaia is a charming port city that is the gateway to Antarctica and lays claim as the southernmost city in the world and is a bustling center for adventure travel. Antarctica Savings - Book before April 30, 2019 and save 10% per person. On select departures only. Valid in all cabin types, excluding Triples. Contact us for details. Lower Deck, 200 sq feet. Two twin beds and an upper bed, two portholes, and private bath with shower. Captains & Upper Decks, 200 sq feet, one double bed or two twin beds, picture window with a partially obstructed view, and private bathroom with shower. Upper, Main & Captain´s Decks, 183-200 sq feet. One double bed or two twin beds, picture window, and private bathroom with shower. Lower Deck, 200 sq feet, one double bed, two portholes, and private bathroom with shower. Captain's Deck, 200 sq feet, one double bed, picture window with obstructed view, and private bathroom with shower. Main Deck, 400 sq feet, one double bed or two twin beds, two picture windows and separate sitting area with sofas, two easy chairs, small table and two private bathrooms with shower. Observation Deck, 325 sq feet, one double bed or two twin beds, window and sliding glass door, private 96 sq ft deck, and private bathroom with shower. - Rates are quoted in U.S. dollars and represent costs per person, double occupancy. Request the Twin Share Program where you are matched with a cabin mate of the same gender. Even if a cabin mate is not found for you, no single supplement will be charged. - Standard Cabins are available for single occupancy at 1.7 times the double occupancy rate. The supplement for a Premium Cabin is 2 times the shared rate. Insurance: Emergency medical evacuation coverage for a maximum benefit of US$500,000 per person is included. Travelers should have a minimum US$50,000 (or equivalent) of emergency medical coverage prior to embarkation. It is recommended that you and all members of your party have comprehensive travel insurance covering trip cancellation, trip delay (interruption or after departure coverage), baggage, and repatriation. Contact us for details. 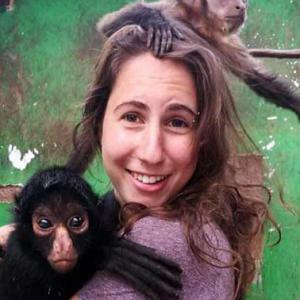 Important reminder: Embracing the unexpected is part of the legacy – and excitement – of expedition travel. There are no guarantees that everything can be accomplished. A measure of flexibility is something all must bring to a voyage. There are nearly 200 recognized sites in the Antarctic Peninsula and South Shetlands and the places mentioned above may be changed to others equally as interesting. Initial deposit is 25% of cruise fare (minimum $1200) plus the cost of kayaking (if applicable), and most travelers will call our office and pay the deposit with a credit card. Alternatively, you can register online here. Final payment is due 130 days prior to departure by Bank Transfer, Check, or Credit Card.